The independent horror movie It Follows, directed by David Robert Mitchell, has been getting rave reviews by critics and fans alike, with it currently certified a stellar 96% fresh on the Rotten Tomatoes website. The breakout hit is about a teenage girl who finds herself haunted by nightmarish visions and the inescapable sense that something is after her. While we won’t say anymore about the film because it needs to be seen in a theater to be best appreciated, the soundtrack by video game composer Disasterpeace (also known as Rich Vreeland) has been equally praised by anyone who has seen the film. The synth-heavy score is very much in the vein of legendary filmmaker and composer John Carpenter’s work on Halloween and The Fog, but has its own originality, especially with conveying a sense of dread. Quite frankly, it’s one of the best horror film soundtracks in years and is definitely worth listening to or purchasing. While Vreeland is currently in New Zealand designing new music for a game about subway systems, he graciously took the time out of his extremely busy schedule to answer our questions by e-mail about the soundtrack and what the future holds for Disasterpeace. LIMELIGHT MAGAZINE (LM): When you composed the score for It Follows, it was the first time you created music for a feature length film. How did you get involved with this project? RICH VREELAND: I scored a game called FEZ a few years ago. David loved the music and reached out to me via e-mail. Our initial discussions were straight-forward. We talked logistics and expressed our interest in working together. David touched base right before he started filming and then we fell out of touch for a year. When he came back to me, prepared to start scoring, I had a lot of work underway and did not have much time. I turned him down at first, but he could tell that I wanted to work on the film. After much discussion, I gave in to his persistence. I’m glad I did! We at first talked about exploring an aesthetic with guitars and other acoustic instruments. Over time, we realized that synths had the versatility we needed. LM: I’ve read that you initially had six months to develop the score, but when the film was accepted into Cannes, your timeline was condensed to only three weeks. How did you end up creating such a haunting masterpiece in so little time? RICH VREELAND: My familiarity with synths and the strength of the temp score allowed us to make it happen. When you are comfortable with your tools, the feedback loop is more immediate. Getting good results doesn’t take as long. LM: I also read that writer-director David Robert Mitchell created a temp score to go with the film when the timeline was condensed. Did you have to work within the parameters of the temp score when you created yours and how much give and take went into the process? RICH VREELAND: I wanted to work within those parameters. I thought the temp score was solid, and it was a great help given the scenario. As someone with limited familiarity of the horror genre, it was nice to have a guide. I tried to boil down each reference piece to a general feeling. Then I’d build that feeling back up into something fresh. LM: Upon listening to the soundtrack to It Follows, it’s very much in the vein of legendary filmmaker and composer John Carpenter’s synth heavy scores for Halloween and The Fog. 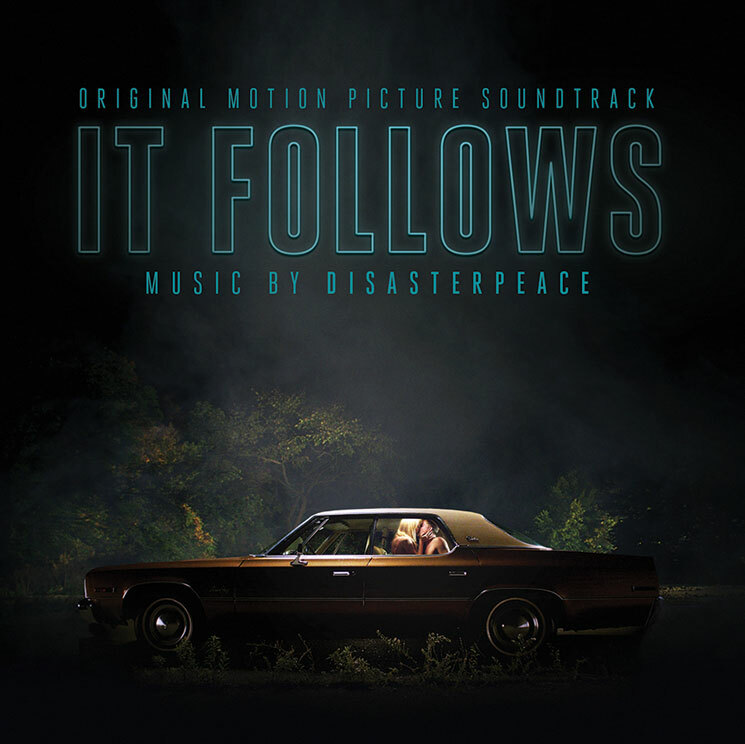 Were you already familiar with Carpenter’s work when you created the score for It Follows? RICH VREELAND: I had heard some of his stuff in passing, but wouldn’t call myself well-versed. We did reference some Carpenter pieces for the score, though. LM: I saw the movie in New York City on March 15th when it was playing on only four screens across the country. Since then it has expanded to over 1,200 locations and is going to expand to 1,655 screens this weekend. Did you ever expect the movie to take off the way it did and become one of the most talked about horror films in years? RICH VREELAND: I knew the potential was there based on the feedback we were getting. But it still came as a surprise! LM: Has the movie’s success had any impact on your career so far or plans for the future? RICH VREELAND: I’ve had a lot of folks ask me to work on film projects. I think David and I will work together in the future too. 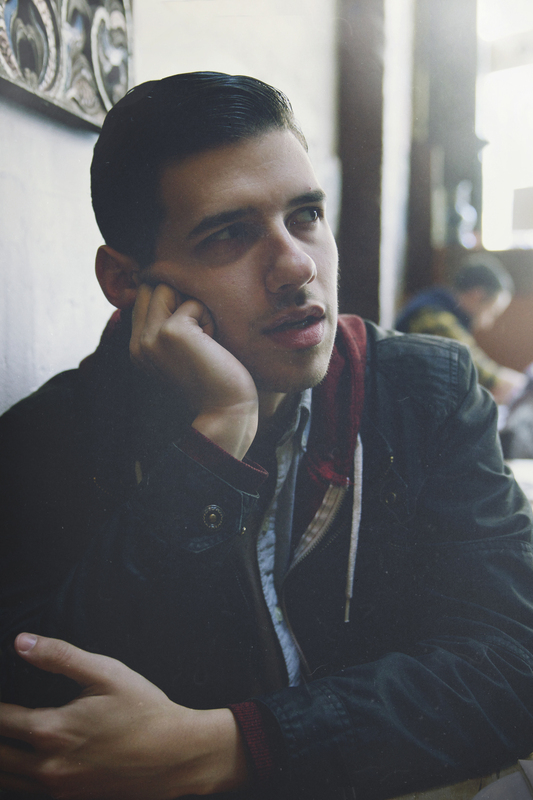 LM: Prior to your work on It Follows, you created music for video games, most notably the eight-bit soundtrack for the game FEZ. How much of a difference is it to compose a soundtrack for a video game compared to that of a film? RICH VREELAND: Scoring film is in some ways a nice reprieve from working on games. I’m working on music for a game right now that allows you to be a subway designer. I’m coding, playtesting, and doing lots of logistical problem-solving. I’m trying to make each interaction between the game and the sound symbiotic. It is intense and often a rewarding process. Scoring linear media for me tends to be more zen than problem-solving. I’m also working on an episode of Adventure Time right now. My creative process for that is a lot like flinging paint on a canvas. The structure of a film is more of a known quantity, and I can just get on with it. The linearity of scoring film makes it easier for me to perceive the outer limits. LM: Now that you have one feature film under your belt, would you like to compose another one? RICH VREELAND: Sure! I care less about the medium than the experience and the value. LM: How did you get involved with music and who are some of your biggest musical influences? RICH VREELAND: I grew up in a musical household. My step-father was the music director of our church. He would hold band practice in our basement, and I would go down there to play the drums. My mom sings and plays the piano and my sister has been singing since she could speak. I fooled around for a while but took up guitar in high school. I was big into bands like Tool and Rage Against the Machine. In the last few years my influences have been all over the map. I’ve been listening to a lot of jazz and impressionism. LM: What are your plans for Disasterpeace for the rest of 2015? RICH VREELAND: I’m finishing music for a guest episode of Adventure Time. I’m in New Zealand right now designing a music system for a game about subway systems. Later this year I’ll be scoring a game inspired by the book Flatland.